Honoring Noyac Veterans – Please join us in a tribute to our local vets! Holiday Dinner Dance Tickets on Sale! WE HOPE YOU WILL JOIN US! Nov. 18 • 4-8pm at the Coast Grill. There are a few tickets left! There will be an FAA Forum on North Shore Helicopter Route Wednesday, Nov. 14, 2018, at Riverhead Middle School on Harrison Avenue in Riverhead, from 7-9PM. Say NO to an Impound Yard at the Long Pond Greenbelt. The next Sag Harbor Village Board meeting will occur at 6 PM, Tuesday, November 13, (the same night as our meeting but one hour earlier). In keeping with the NCC’s mission of being concerned with quality of life issues including potential contamination of our aquifer, the NCC stands with members of the Long Pond Greenbelt and will be sending a letter to the Village Board. Click HERE to read letter. The Sag Harbor Village Board must be informed that we are opposed to building a paved impound yard in the Long Pond Greenbelt. This property is in a groundwater protection area designated by the state and is listed as a critical environmental area by both the county and the town. Why then store vehicles that could add environmental problems in a protected area? You may voice your concerns for building an impound yard at this environmentally fragile area at the Village meeting or send an email to clerk@sagharborny.gov. Click here for more information about this issue and for examples of letters. Our neighbors at the end of Bay Ave. are concerned with the flooding at the end of the road once again. Recently the Town moved the sand after the last recent flood but did not replace the beach correctly. The result is excessive flooding up Bay Ave. 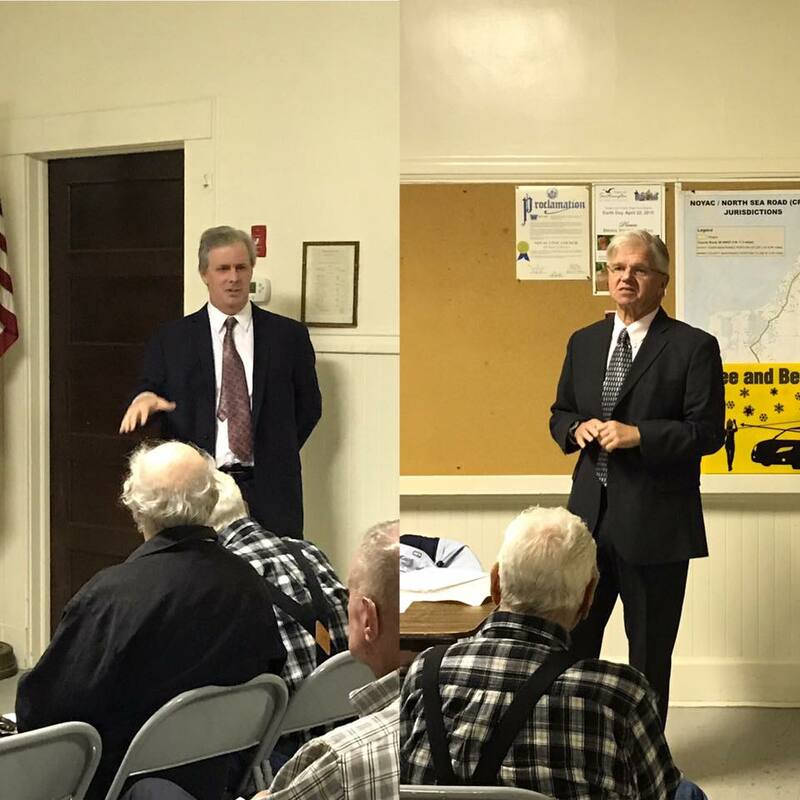 Please call Marty Shea (environmental analyst) 631-287-5710 and Alex Gregor (Superintendent of Highways) 631-728-3600 to voice your concerns. This site is also where neighbors expressed environmental concerns to the Conservation Board earlier in 2018 regarding a proposal to renovate 38 Bay Ave. The neighbors and NCC vociferously expressed their concerns to the Conservation Board for the fragile wetlands, and the storm water runoff into the Bay. What is the affect of having above ground septic pools in this flood-prone area and the damage to neighboring properties if this total renovation were done? Click here or on photo to see a video from October 27. • an enforcement plan and a plan to clean up the contamination found by the Health Department in the groundwater. Lead, arsenic, excessive manganese and iron, other heavy metals and radio active chemicals were found in the Health Department’s test wells. This is the entire East End’s water supply. Please call and write to our Governor, Town officials and DEC to seek an immediate injunction and demand that the DEC do its job to protect our water. Thanks to all attending Meet the Candidates tonight at our October Meeting.